Here’s a new thing: tights for boys! (Of course, it’s not actually a new thing, but never mind.) There are things I really love about this: tights are really useful for babies (whatever’s in their nappy) as they’re warm and can’t be kicked off like a pair of socks; I know plenty of mums who admit half-guiltily that they dress their boy baby in tights when it’s cold, and if this stops them feeling guilty about dressing their baby in something warm and convenient then that’s great. Also, the designs of the tights are gorgeous (and not particularly pink or blue! ): I actually rather wish they did the pacman ghosts design in my size. See, my little girl is “bold and bright” too, or at least I’m hoping she’ll grow up to be both; and she’s as much of an individual as an 8-month-old baby can be (that is, slightly more individual than one commercially-available pattern selected from the four available on the site can be). She needs freedom to bend and move, she needs keeping warm, and she can kick a pair of socks off faster than you can say “Jack Robinson” (or “Jill Robinson”). I’m delighted that tights can be marketed at boys as well, but why does it have to be instead? There’s been a lot of discussion in recent years about why girls and women are underrepresented in science subjects at school and university, and (as a result) in scientific and technological careers. (Yes, I know this sounds a bit serious; bear with me, we’ll get to mocking the stupid pink stuff in a minute.) It seems fairly clear that part of the problem is the conflict between the media image of science and the cultural expectations of girls: for lots of socio-cultural reasons that I’m not going to go into (because I want to get to the funny stuff, and other people have done the serious stuff better) science is perceived as being “for boys”: it’s seen as being too hard, or too nerdy, or too unsexy for girls. In an attempt to counter this problem, lots of of laudable initiatives have been developed to try to educate and inspire girls and women to get involved in STEM (science, technology, engineering and maths) studies and careers: from L’Oréal-UNESCO’s For Women in Science programme to STEMGirls (where girls can ask questions of real women who are working in science) to WISE (Women Into Science, Engineering and Construction) to… oh, you get the picture. However, it’s clear that the problem starts quite young… so wouldn’t it be great if there were more science-related toys for kids pitched in a way that both boys and girls could relate to? Oh. But wait! It’s OK! There’s a “Girls’ Science Kits” section too! Sigh. 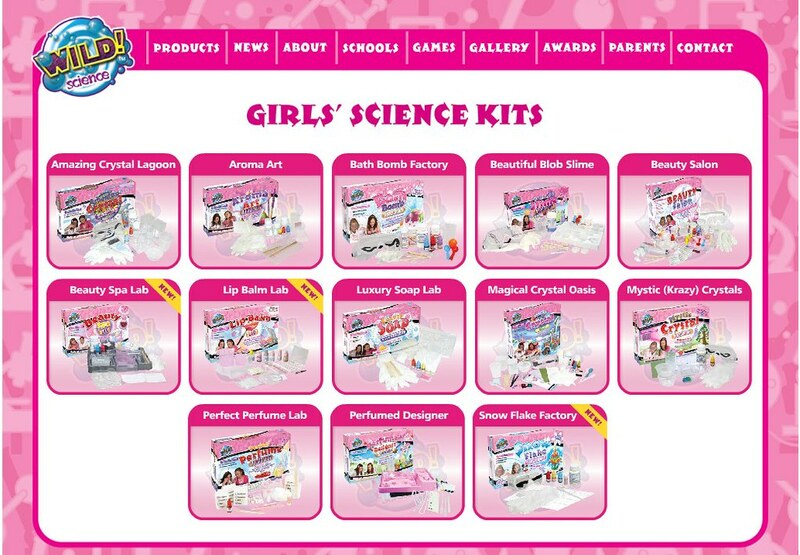 Yes, nearly every one of the science kits “for girls” relates to beauty products. Boys get “Hyperlauncher”, “Joke Soap”, “Perils of the Deep”, “Spooky Ice Planet”, “Weird Slime Lab”, and “Physics and Chemistry”; girls get “Amazing Crystal Lagoon”, “Aroma Art”, “Bath Bomb Factory”, “Beautiful Blob Slime”, “Beauty Salon”, “Beauty Spa Lab”, “Lip Balm Lab”, “Luxury Soap Lab”, “Magical Crystal Oasis”, “Mystic (Krazy) Crystals”, “Perfect Perfume Lab”, “Perfumed Designer” and “Snow Flake Factory”. The ones that aren’t about beauty are “magical” or “mystic”, which is surely the antithesis of science! I do sort of see what they’re doing, but the problem is by trying to make science “girly” they’re taking all the science out of it (OK, to be fair, I’m guessing “Joke Soap” isn’t exactly going to get the Royal Society seal of approval either) and reinforcing the message that girls are only allowed to like stuff if it’s all about pinkness and pampering. (What happens when they realise that not all chemistry involves covering everything in potassium permanganate?) 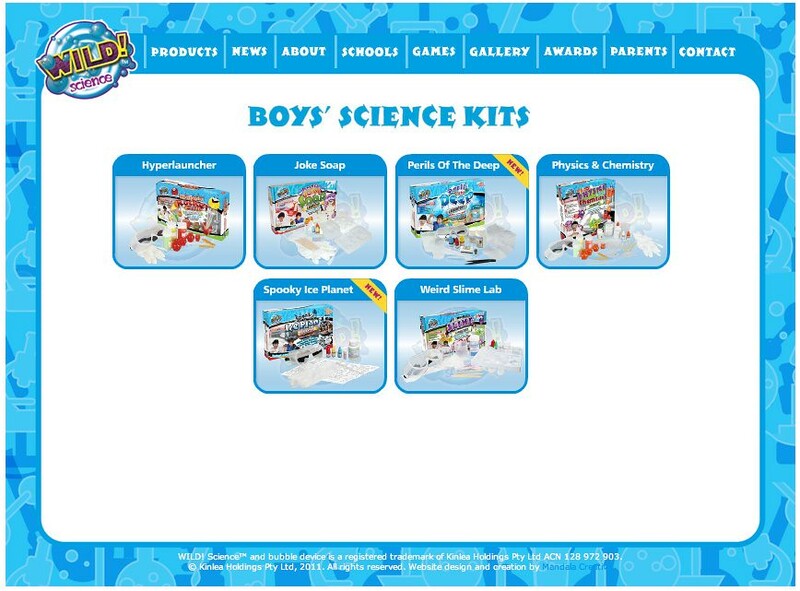 The fact that the science kit which is actually called “Physics & Chemistry” only appears in the boys’ section is just insulting. It’s enough to make Marie Curie turn in her grave. 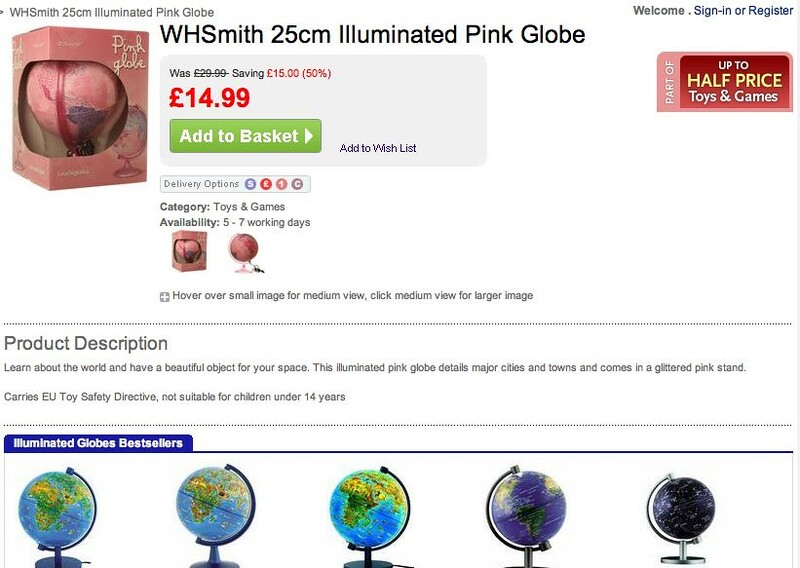 I see what’s happened here, too; look at all the other globes at the bottom (“Illuminated globes bestsellers”): they’re blue, therefore they must be for boys, therefore we’ve got to provide a pink alternative for girls. THE BLUE REPRESENTS WATER. The globe looks blue because IT’S ABOUT TWO-THIRDS WATER, and WATER IS NOT PINK. The last time the world map was largely pink is probably not a time we want to look back to nostalgically… any more than we want to get all wistful for the days when the closest girls got to “science” was domestic science (cookery) or training as beauticians.